On this Labor Day, I’m thinking about the legacy of stolen labor. While Labor Movement-created-holiday is meant to commemorate the “social and economic achievements of American workers,” a post from a friend, Son of Baldwin, has me thinking about labor that was not freely given, but rather was taken from people and for which they were not compensated. 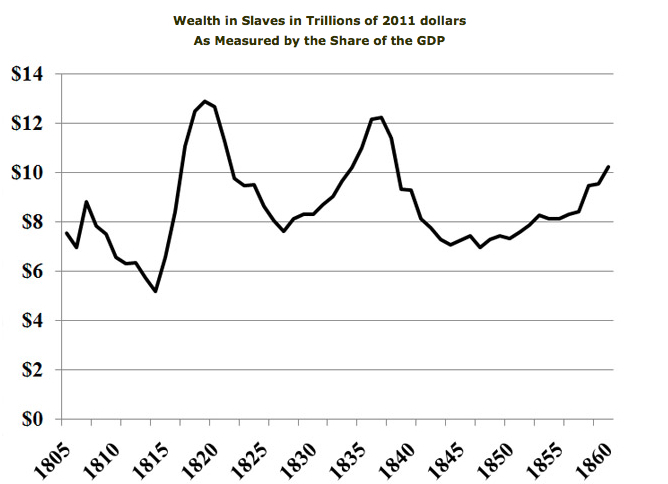 And, indeed, if we look at the wealth accrued to those who enslaved others, just in the U.S., the estimates from economists put those numbers in the trillions, in 2011 dollars. So, the impact of slavery in the US was large? Got it. But slavery ended in 1865. Everything’s been fine since then, hasn’t it? In 2000, Aetna expressed “regret for any involvement” it “may have” had in insuring slaves. Today, the company stands by that statement and says it has been able to locate “only” seven policies insuring 18 slaves. “We stood up; we apologized; we tried to do the right thing,” said Aetna spokesman Fred Laberge. That was all a long, long time ago. Aetna apologized. Besides, what’s all this got to do with now, today? These companies built their wealth, either partially or in whole, on labor that was stolen from people who didn’t have a choice and who were never compensated for that labor. These corporations with legacy-connections to slavery are not the only ones profiting from stolen labor now. For-profit corporations are making millions off of locking people up. CCA, which I’ve written about here before, and The Geo Group are among the worst offenders here. 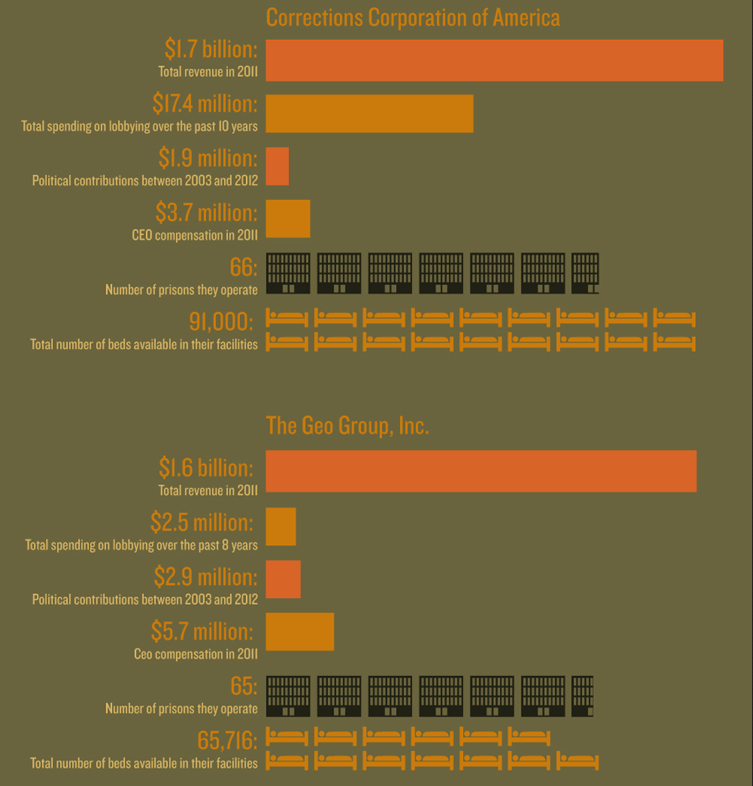 Federal Prison Industries, also known as UNICOR, is a US-owned government corporation created in 1934 that uses penal labor from the Federal Bureau of Prisons to produce goods and services (UNICOR has no access to the commercial market but sells products and services to federal government agencies). The statistics about UNICOR’s use of prison labor, perhaps the quintessence of contemporary stolen labor, are staggering. These wages at federal prison are criminal, and the ones at state facilities are even worse. Nevada, for example, pays inmates just .13 cents/hour for their labor. There’s no possibility of organizing these workers, however, since the U.S. Supreme Court has upheld a North Carolina warden’s ban on prisoners’ right to form a labor union. To address this legacy of stolen labor, some have called for reparations. US Rep. John Conyers has introduced H.B.40, Commission to Study Reparation Proposals for African Americans Act, into every session of Congress since 1989, and vows to keep doing so until it is passed into law. In 2002, a group of U.S. legal scholars led by Charles Ogletree (Harvard) started litigating the legacy of slavery to get redress from some of the corporations that benefited. A number of people, mostly political conservatives, oppose reparations. More recently, representatives from more than a dozen Caribbean nations are uniting in an effort to get reparations for slavery from three former colonial powers: Britain, France and the Netherlands. Leaders from The Caribbean Community (Caricom) are launching a united effort to seek compensation for the lingering legacy of the Atlantic slave trade. A much more modest proposal, as Bruenig of Demos suggests, is a steep, progressive inheritance tax in the U.S. If the proceeds of such a tax were directed to a full-fledged sovereign wealth fund that pays out social dividends, we could address a number of social ills at once. It’s actually not hard to think of ways to address the legacy of stolen labor and stolen wealth. It simply involves the transfer of capital. And, there is precedent for it in the U.S. The federal government reached a consent decree with a class of over 20,000 black farmers to compensate for years of discrimination by the Department of Agriculture. Previously, the government also approved significant compensation for Japanese-Americans interned during World War II and paid reparations to black survivors of the Rosewood, FL [pdf], massacre. 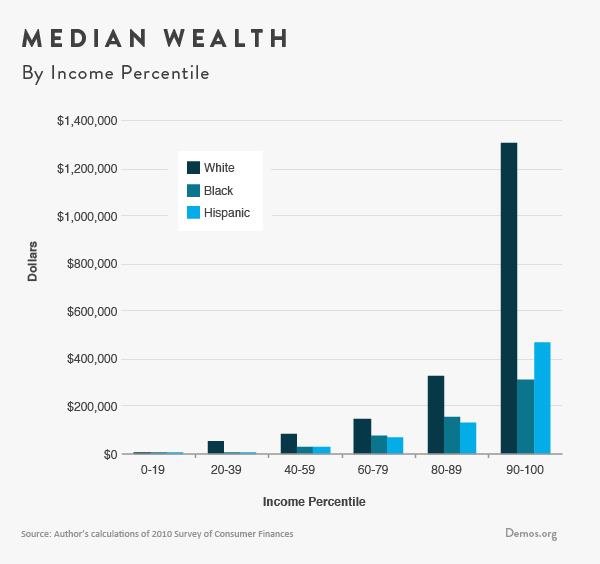 What we lack to address the legacy of stolen labor and the contemporary reality of a racial wealth gap is the collective political will to do the right thing. Glad you were thinking about STOLEN LABOR on Labor Day; we benefit from this excellent analysis that for the most part goes unnoticed and unchallenged. Brown University, Wachovia, railroads, ALL, have and still benefit from the exploitation of Black and Asian labor in the past that has a thread through today. By showing the specific inhumanity in the prison industrial complex (state, federal & private) you nail it. We, too, were grateful for your blog and your thoughts on STOLEN LABOR on Labor Day. Canadians marked Labor Day yesterday as well. Your blog is as relevant to this country as to America. We appreciate your work very much for this reason (among many more reasons). As Earl Smith said, you nailed it!!! We will be sharing this blog and RacismReview.com in general, with our students here in Canada starting on Thursday when fall classes resume. Your blog will start a dialogue on the parallels between the two nations’ history of (and ongoing) exploitation, racism, classism, and the like. Thank you!